The Arab League boycott of Israel is a strategy adopted by the Arab League and its member states to boycott economic and other relations between Arabs and the Arab states and Israel and specifically stopping all trade with Israel which adds to that country's economic and military strength. A secondary boycott was later imposed, to boycott non-Israeli companies that do business with Israel, and later a tertiary boycott involved the blacklisting of firms that that do business with other companies that do business with Israel. 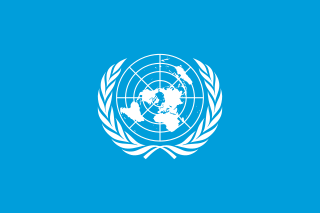 On 18 May 1981, the President of the UN Security Council indicated that the United Nations would be unable to provide an observation force, due to the threat of a veto of the motion by the Soviet Union. As a result of the impasse, Egypt, Israel and the United States opened negotiations to set up a peacekeeping organization outside the framework of the UN. On 3 August 1981, the Protocol to the Treaty of Peace was signed, establishing the Multinational Force and Observers (MFO). This observation force monitors both parties to ensure compliance with the treaty. The President of the United Nations Security Council is the presiding officer of that body. The President is the head of the delegation from the United Nations Security Council member state that holds the rotating presidency. The Israel–Jordan peace treaty or in full "Treaty of Peace Between the State of Israel and the Hashemite Kingdom of Jordan", sometimes referred to as Wadi Araba Treaty, was signed in 1994. The signing ceremony took place at the southern border crossing of Arabah on 26 October 1994. Jordan was the second Arab country, after Egypt, to sign a peace accord with Israel. The Philadelphi Route, also called Philadelphia Corridor, refers to a narrow strip of land, 14 km in length, situated along the border between Gaza Strip and Egypt. 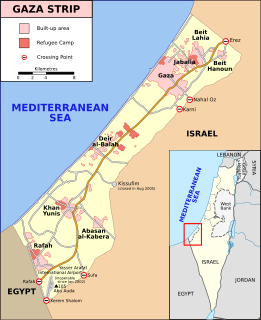 Under the provisions of the Egypt–Israel Peace Treaty of 1979, it was established as a buffer zone controlled and patrolled by Israeli forces. One purpose of the Philadelphi Route was to prevent the movement of illegal materials and people between Egypt and the Gaza Strip. 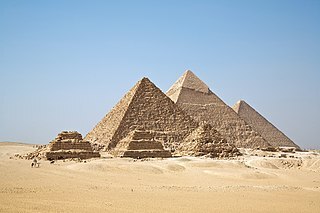 Palestinians, in cooperation with some Egyptians, have built smuggling tunnels under the Philadelphi Route to move these into the Gaza Strip. The Arab League was formed in Cairo on 22 March 1945 with six members: Egypt, Iraq, Transjordan, Lebanon, Saudi Arabia, and Syria. Yemen joined on 5 May 1945. The Multinational Force and Observers (MFO) is an international peacekeeping force overseeing the terms of the peace treaty between Egypt and Israel. The MFO generally operates in and around the Sinai peninsula. Mustafa Khalil was an Egyptian politician and Prime Minister of Egypt from October 2, 1978 to May 15, 1980. Khalil also served as the Egyptian Foreign Minister from February 17, 1979 until May 15, 1980 upon the resignation of the position's incumbent over objections on peace talks between Egypt and Israel. 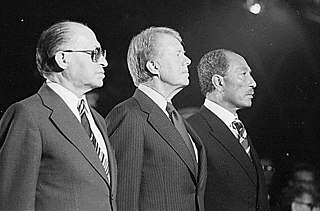 Khalil was best known for his integral role in the negotiations that led to the 1979 Camp David Accord peace treaty between Egypt and Israel. 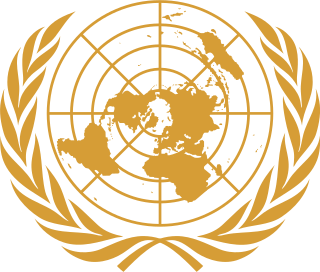 The Geneva Conference of 1973 was an attempt to negotiate a solution to the Arab–Israeli conflict as envisioned in United Nations Security Council Resolution 338 following the called-for cease-fire to end the Yom Kippur War. 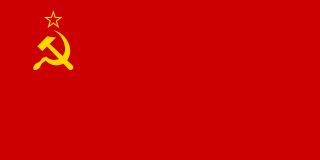 After considerable "shuttle diplomacy" negotiations by Henry Kissinger, the conference opened on 21 December 1973 under the auspices of the United Nations Secretary General, with the United States and the USSR as co-chairmen. The foreign ministers of Egypt, Jordan and Israel were in attendance. The table with Syria's nameplate remained unoccupied, although Syria had indicated possible future participation. Each foreign minister spoke, mainly directed to their domestic audiences rather than to each other. Kissinger articulated his step-by-step strategy and stated that the goal of the conference was peace; the immediate need was to strengthen the cease-fire by accomplishing a disengagement of forces as the "essential first step" toward implementation of UN 242. The meeting was then adjourned. Tiran (Arabic: جزيرة تيران‎ Jezîret Tīrān, Jazīrat Tīrān, and Yotvat Island, is an island within the maritime borders of Saudi Arabia that was administered by Egypt in the past. 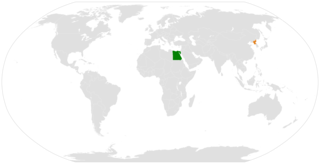 However, sovereignty of the two Red Sea islands, Tiran and Sanafir, was ceded officially to Saudi Arabia as part of a maritime borders agreement between Egypt and Saudi Arabia. The agreement subsequently was approved by the Egyptian Parliament and finally ratified by the Egyptian President on 24 June 2017. Dr. Hassan Tuhami (1924–2009) was an Egyptian Deputy Prime Minister during Anwar Sadat's presidency. Operation Eagle was an Egyptian military campaign in the Sinai Peninsula, that was launched in August, 2011 to confront the Sinai insurgency. The campaign was aimed against Islamist insurgents, who had been attacking the Egyptian security forces in the Sinai and using the area as a base from which to attack Israel since early 2011. Successive Egyptian operation against insurgents in 2012, named Operation Sinai, was initially referred as the second part of Operation Eagle. 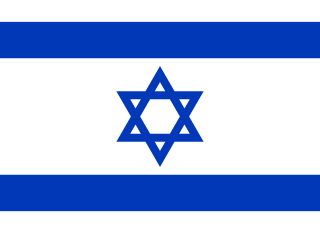 Egypt–Israel relations are foreign relations between Egypt and Israel. The state of war between both countries which dated back to the 1948 Arab–Israeli War culminated in the Yom Kippur War in 1973, and was followed by the 1979 Egypt–Israel Peace Treaty a year after the Camp David Accords, mediated by US president Jimmy Carter. Full diplomatic relations were established on January 26, 1980. Egypt has an embassy in Tel Aviv and a consulate in Eilat. Israel has an embassy in Cairo and a consulate in Alexandria. Egypt–Palestine relations are the bilateral relations between the Arab Republic of Egypt and the State of Palestine. Egyptian President Gamal Abdel Nasser was a strong supporter of the Palestinian cause and he favored self-determination for the Palestinians. Even today Egypt maintains strong relations with the Palestinian Authority and it favors peace between both Israel and Palestine. Egypt–North Korea relations refer to bilateral relations between Egypt and North Korea. Egypt has an embassy in Pyongyang whilst North Korea has an embassy in Cairo. ↑ "BBC News – Timeline: Arab League". 1 2 Kershner, Isabel (27 January 2011). "Israeli concern for peace partner". The Courier. Retrieved 20 December 2016. ↑ Kasinof, Laura. "An uneasy Egyptian-Israeli peace". ↑ Amira Howeidy (2002). "Protocols, politics and Palestine". Al Ahram. Archived from the original on 1 April 2011. Retrieved 27 March 2011. ↑ "Egyptian War Games Cause For Concern in Israel, Lawmaker Says". 29 October 2008. ↑ "Netanyahu: Egypt Could Be A New Iran". Fox News. 8 February 2011. Archived from the original on 20 October 2011. ↑ "Egyptian opposition figure: Rethink Camp David Accords".